Denny Hamlin is making his eighth-career Cup Series start in Las Vegas. He has one top-five and four top-10 finishes in seven races. Career-best third-place result came in March ’07. 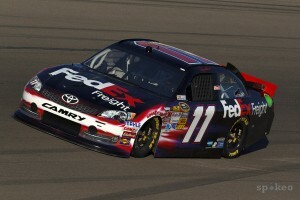 Denny finished 20th last year. Average starting position: 22.1. Average finishing position: 12.9.